Sony is rolling out videos of the evolution of its PlayStation products, starting in 1994 and working their way through the history before the PS4 launch event. The first episode in this "Evolution of PlayStation" series covers the launch of the original PlayStation, from its inception in 1994, to its launch in late 1995. It shows off some of the software that helped the product sell, and will undoubtedly bring back memories for a lot of us. It would appear that Sony is planning to release a new video every day up to the PS4 launch event on Wednesday, as it takes advantage of the buzz around the upcoming console. 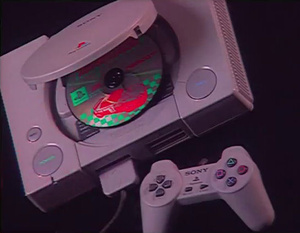 Check out the video of the PlayStation's birth. Can you remember your favourite PlayStation 1 games? I'll start with the Resident Evil 1, 2 and 3, Metal Gear Solid, Gran Turismo and numerous FIFA games. Also, check out the second part of the Evolution of PlayStation: PlayStation 2.
the original legend! guess its official with these videos ps4 is here! Just watched it. Really disappointingly lame and uninformative. if the information in the magazine from the 90s that i have is correct sony were actually working with nintendo to make a cd based video game system but pulled out and decided to do it on there own. ^^^ That is, indeed, correct. Actually, not quite. Nintendo pulled out, leaving Sony holding the bag; Nintendo was still leery of optical media, rather than cartidges. Sony then proceeded to finalize the design and sell it as the PS1. I tried to report the above couple of posts as spam but the mechanism seems to not be working. The post reporting system has been busted for over a year, actually.